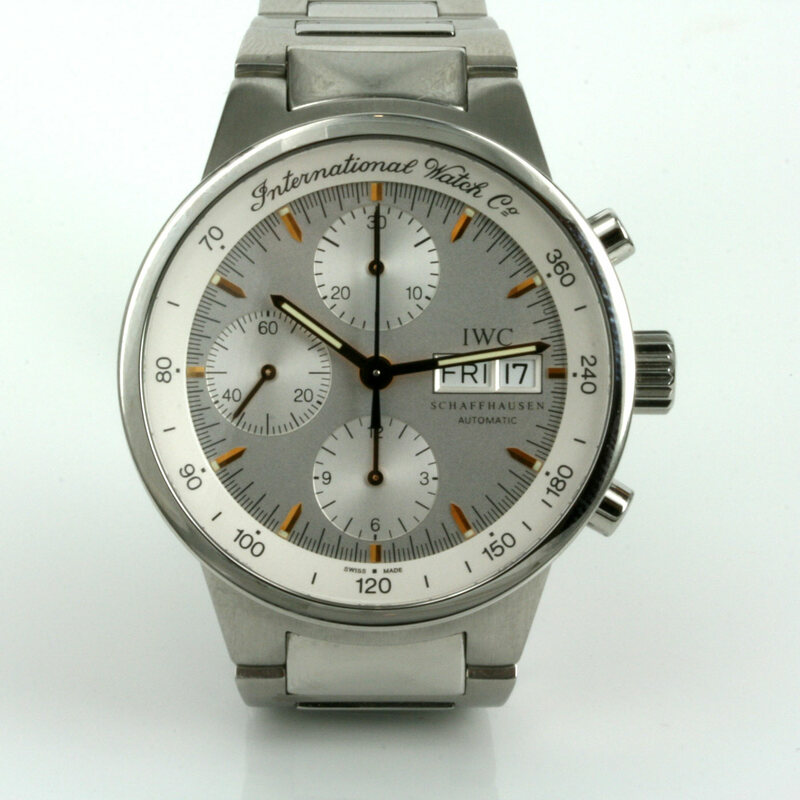 Gents IWC GST Chronograph watch. 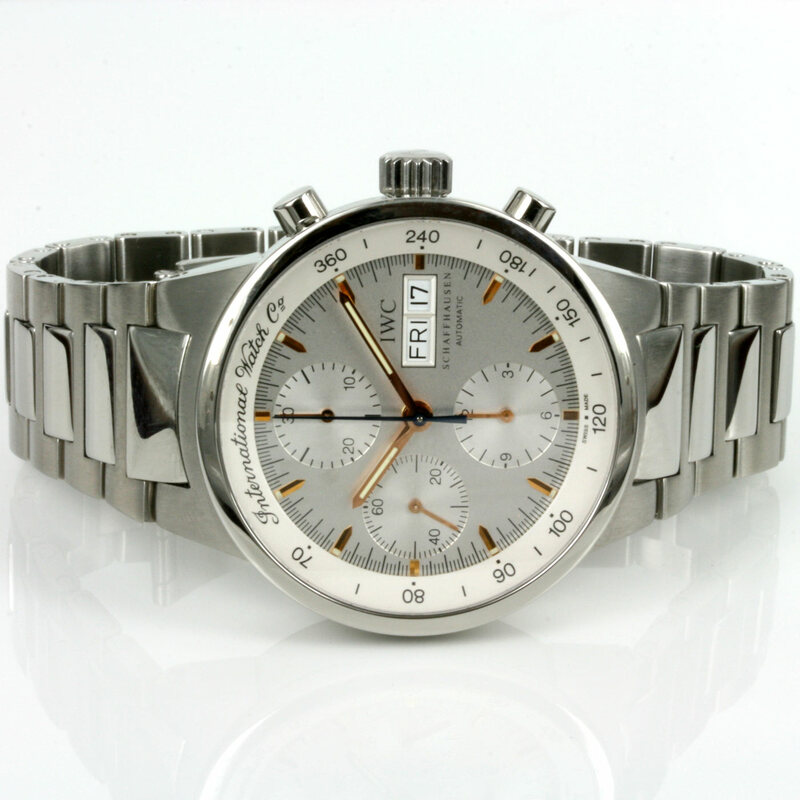 Product code: 1768 Categories: Sold Items, Sold Watches. The sport version of IWC watches always look so good on the wrist day or night and this gents IWC Chronograph is certainly no exception. This model is the GST Chronograph model and the watch case measures 40mm across plus the crown and looks superb on the wrist. With full chronograph functions as well as the day and the date, this is a smart IWC watch for any occasion day or night. Fantastic looking IWC watches such as this don’t come up often, and with this look and style, it certainly wont last long.